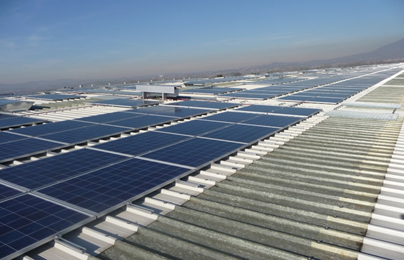 On 6 February 2011 Sòlergys, a Green Network Group company, unveiled a photovoltaic installation in Terni (TR) that is connected to the national grid for an overall capacity of over 1894 kW. 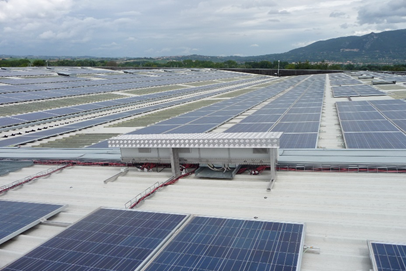 The plant was installed on the roofs of the Finishing Centre buildings at the Acciai Speciali Terni S.p.A. steelworks. 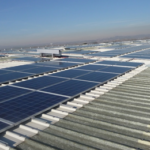 The modules were installed across a surface of around 31,922 m2 and are partially integrated in the layers of the roofs thus notably reducing the visual impact of the installation. Its 9020 panels produce approx. 2,200,000 kWh/year, enough energy to meet the needs of around 1024 domestic users (with an annual estimated consumption of 2147 kWh per user). 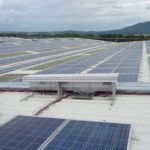 The energy produced by the Terni photovoltaic system is sold in part and satisfies around 20% of the energy requirements of the industrial complex. The remaining stake is sold to the national grid and remunerated by GSE via the Dedicated withdrawal mode. 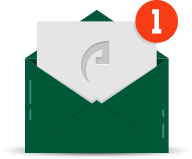 The generated energy is incentivised by GSE through the II Conto Energia.